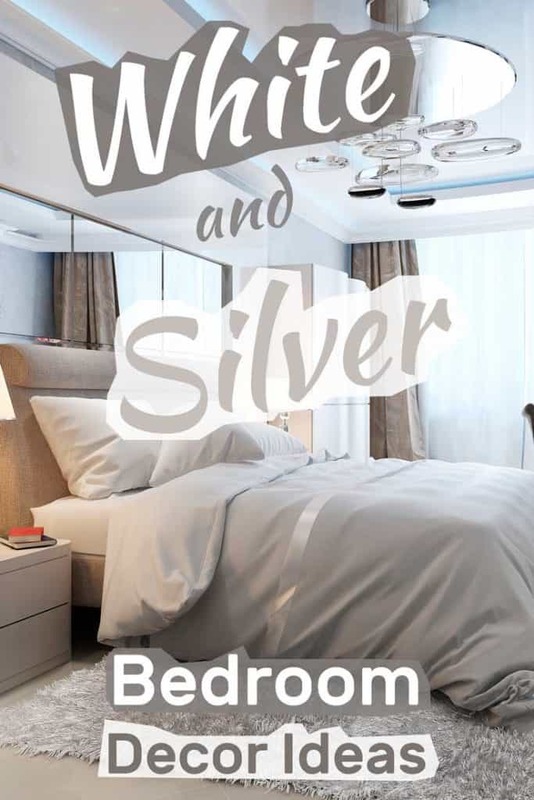 If you’re looking for a color palette for your bedroom that’s both luxurious and easy on the eyes, silver and white may be what you’re looking for. When mixing these two colors, you get a spectrum that spreads between the soothing effects of clean whites, all the way to the extravagance of metallic silver. It may not be gold, but it can create an opulent effect all the same. 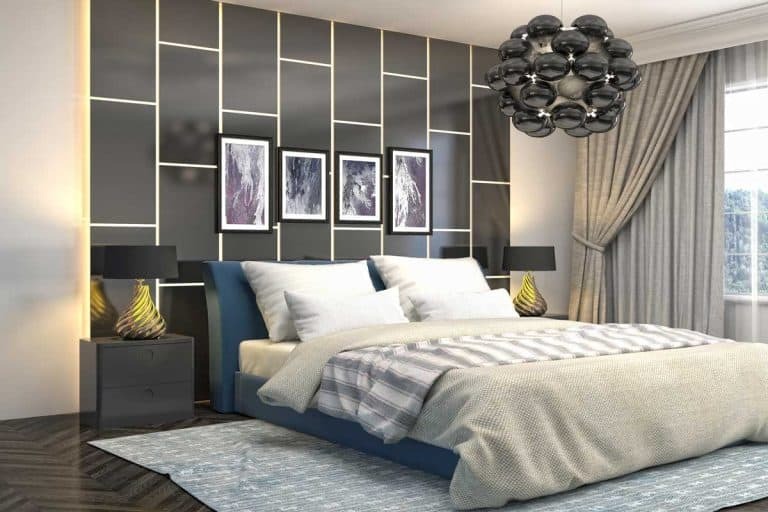 Let’s take a look and see how professional and amateur designers work with the silver and white color scheme to create stunning bedroom designs. A white and silver color scheme can work well with almost any style of decor. This is a great example of a simple, country-style bedroom that uses soft fabrics and a piece of gorgeous heart-shaped natural wall decor. The result is a relaxing setup. You don’t need a huge budget to create a white and silver bedroom. All it takes is sticking to the right color palette, like in this attic bedroom. 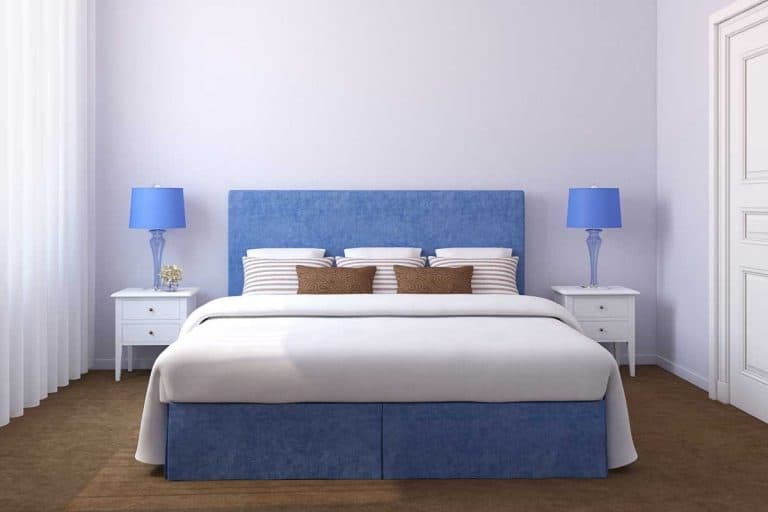 The silvery effect is easily achieved by choosing the right type of velvety grey for the furniture and matching that with satin silvery bedding. Of course, you absolutely can go for a glamorous effect! That’s what the silver is there for! And it doesn’t have to be expensive to achieve either. Pairing the right padded bed with a cool selection of throw pillows is how it starts. Adding the right lamps and bedding – and voila! What we love about this design is how throwing in just a little bit of black, adds a lot of chic to the final look. The silver isn’t as overwhelming and the overall result makes an elegant statement. These gorgeous Morrocan elements look perfect in this silver and white design. The monochromatic palette really helps tie the design together. Oriental affluence at its best! This beautiful metallic print really brings out the wall behind the bed. It creates an interesting optic illusion, making it look as if there’s a curtain there instead of a wall. This adds detail and depth to a regal design. You can absolutely incorporate plants into a silver and white bedroom design. This is a great example of how choosing dark plants works well. Note the extensive use of wood, in both furniture and floor cover. 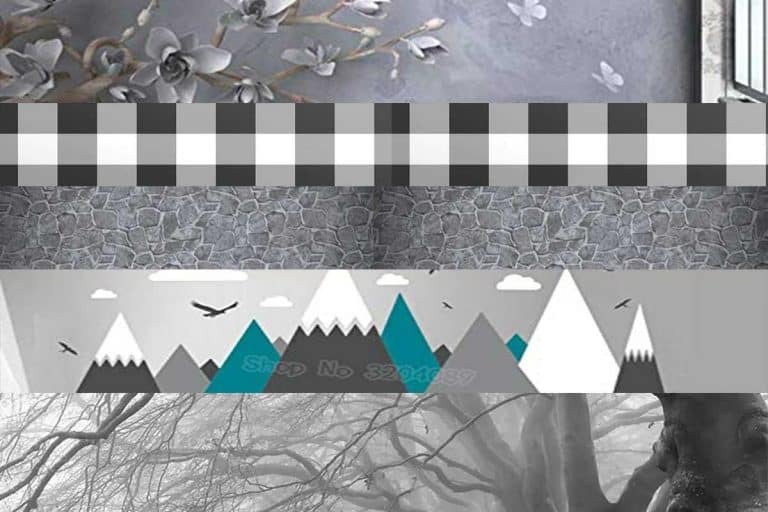 A fascinating mix which creates a look that’s both natural and artistic. Gold is not the only royal color out there. Silver can be just as regal! Traditional design style brings forward that quality to the most. Note the impressive chandelier hanging over a huge bed fit for a king or queen! Back to the life of the commoners, a white and silver design easily lends itself to a feminine shabby chic room decor. We love the use of metallic gray-pink, as well as that huge fluffy lampshade! 10. Light up the night! Lighting is an important element in any room design. We’ve seen some impressive lampshades in this photo list already. This shot really shows the amazing effect the combination of light and metallic surfaces make! 11. Can you mix gold and silver? When decorating your bedroom – you can do whatever you want. Whatever makes you comfortable! We didn’t want to get into silver & gold color schemes in this list, but couldn’t resist this great silver and white design, where the golden caption in the picture just really stands out! The monochromatic palette is beautiful in its own right. Sometimes, though, it really pays off to hit it with a splash of color. Done to perfection in this bedroom, the bright red of the telephone booth is echoed in the red tones of the pillows. 13. Teenagers can also enjoy the silver and white effect! Granted, teenagers usually prefer bolder statement in black and white. In this bedroom, however, the silvery gray walls tie together the various black and white elements for a gorgeous look that’s tres chic! In our post about the most relaxing color for the bedroom, we mentioned cool grays as a possible palette. Here’s how you can do that with silver and white too. Limit the amount of detail, and focus on one dramatic-enough wall art piece. A clean modern look that’s peaceful and beautiful at the same time. We loved how mirrors – the classic silvery decorative element – are used in this room. Without being too overwhelming, they reflect the beautiful room in two framed mirrors as well as a mirrored bed stand. A selection of silvery decorative items on the shelves and white natural cotton bedding complete a feminine shabby-chic bedroom. A design that just makes you want to crawl in between the crisp cool sheets for a nap. This beautiful bedroom opts for soothing whites, in an array of textures and fabrics, with only a touch of silver in a few choice items. The Santa Fe school of design is known for its bright colors of turquoise and browns. Here, it’s stripped from all color for an interesting fresh look that makes the geometric shapes – the other Southwestern trademark – really stand out. What a wonderful combination of textures and shapes, all with a Japanese flavor. We love how the white cherry flowers correspond with the almost-orange berries through their shape. The berries then reflect the very subdued golden tones of the bed frame. A true moment of zen. A great example of how you can turn almost anything white. In this case, two types of woven baskets were painted white. They still return their natural feel but now they fit right into the overall color scheme. The dark walls in this bedroom offer the perfect background for the white furniture. Silver is generously offered in sleek modern lines via the lamps and cabinet furnishing. 21. Just a sliver of silver! Sometimes, that is all it takes. In this bedroom design, silver is reflected in the pillow details. The rest of the room offers a naturally relaxing environment in white, including the partially-painted distressed bed stands. We chose this bedroom, not only for that dramatic fake fur throw but also for those impressive all-silver mirrory bed stands. What a way to make a bold design statement! Beautiful use of decorative text captions all over a teenage girl’s bedroom. We love how the room retains the eclectic nature of that age group, yet has a clean decluttered look, thanks to the monochromatic palette. Oh, and pink. But the kind that goes really well with white and silver. Nearing the end of the list, we bring you a classic example of a formal traditional bedroom in white and silver. No added color. Not even black. The designer clearly stayed loyal to the palette all the way through, expressing the metallic silver not only in the colors of the furniture but in the material itself. Wrapping up the list is a lovely bedroom that’s so easy to re-create at home, you can do it just for the fun of it. Most of the effect is achieved using multiple mettalic silver throw pillows, along with a few choice decorative items (including the mandatory mirror!). And if you get tired o that look, changing it would be a breeze.